A horse owner has warned others to be on their guard after a worrying incident. 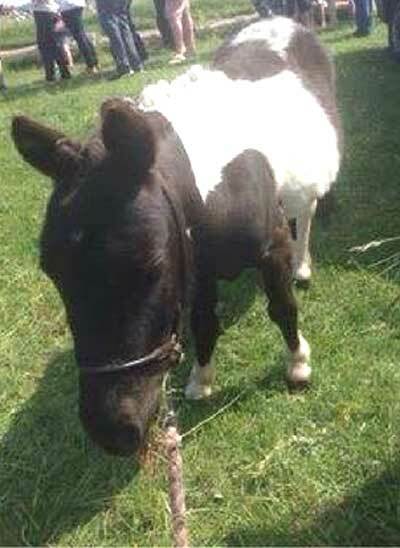 Amanda Polkinghorne, from Bisley, Gloucestershire, was walking her miniature horse when she was approached by a man who wanted to buy him - he followed her to see a horse which was for sale but he vanished. She fears the man may have been planning to return and steal the animal at a later date. She said: "A bloke stopped and asked if I would sell my horses and I said he wasn't for sale but may have another one available which he wanted to see. "He took a picture of me and the horse I was walking, and he followed me to the field which was about a 10 minute walk. He had to go past as the traffic built up and he pulled up ahead of me, then he turned round. I said 'It's just up there' and he said 'I'll turn around and meet you back there'. I ran back, grabbed the other pony and walked back up to the gate. "There was no sign of him but he spoke to my daughter. I'm not really sure what he said to her but he never saw the pony we came all the way back for. It seemed really weird,so my thought was to hide them in case he came back to try and steal them." She said he was driving a white estate car and would definitely recognise him again. She has not informed police, as she believes there is little they could do at this stage.